April can be a hit-and-miss month on the fly. Some days are warm and can bring out the bugs while others are a bit cooler slowing down both bug and fish activity. 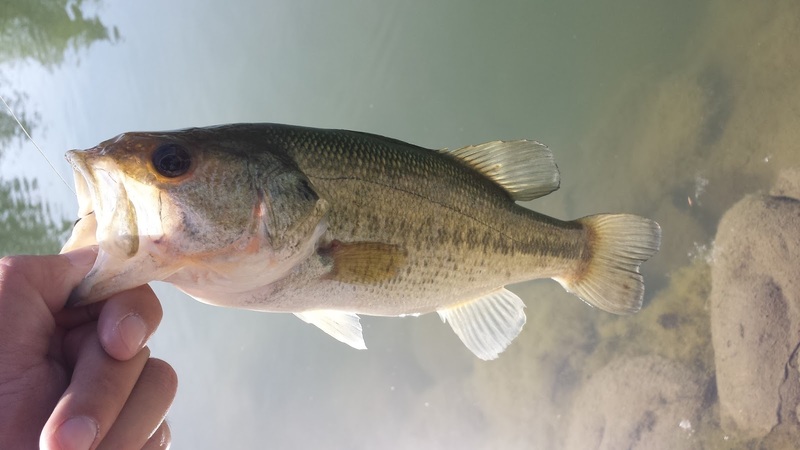 Most of my fishing time has been spent on targeting smaller warm-water species at Ellis Lake. 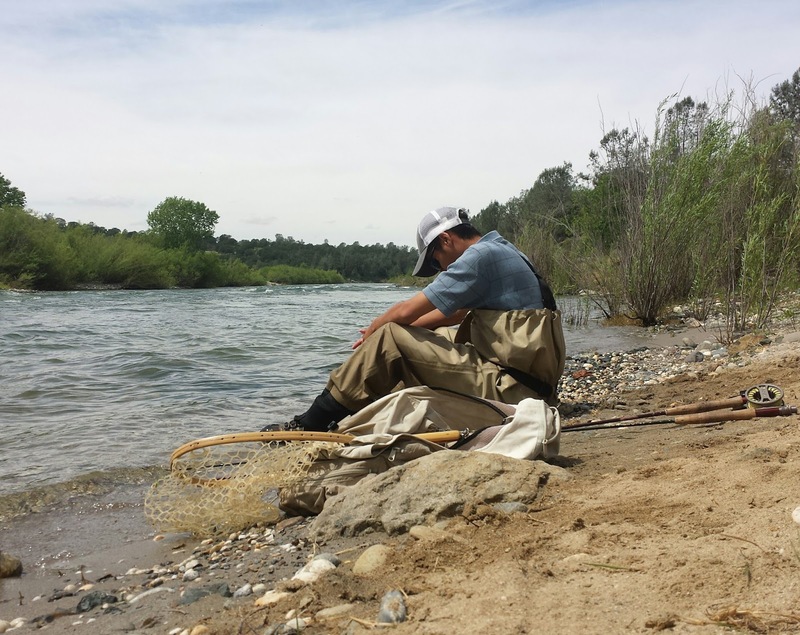 The flows are still high on the Yuba with a heavy spring run-off coming down from the South Fork. I took some time to visit my favorite river at 3,500 CFS and it looks like it'll be tough until summer. 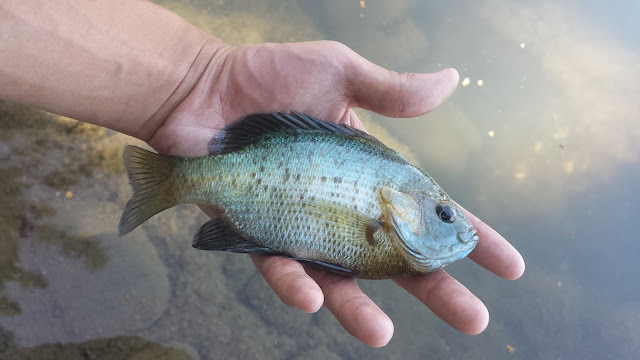 Local panfish have been my best option. The winds this year seem to be a lot more prominent than last year. I happen to be an allergy head and a good wind will get my allergies going all day all week. Gusts over 10mph are also a pain to try and fish with a fly. 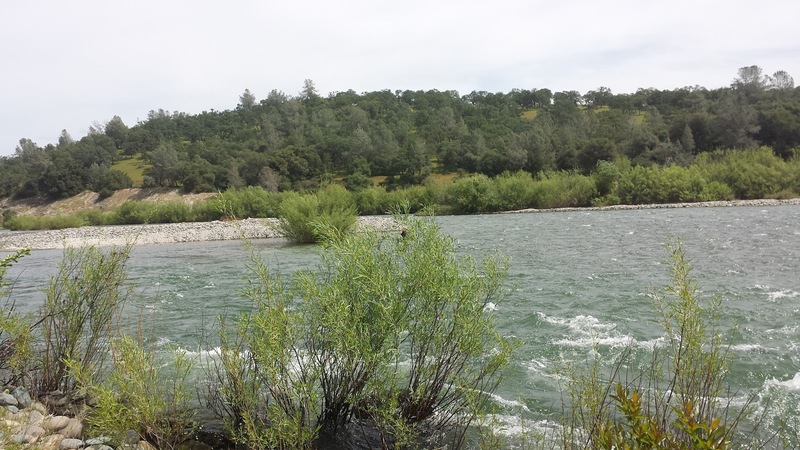 The Yuba continues to run high with run-off from the South Fork at 2,100 CFS. During my quick-visit to the Yuba I brought two rods, one rigged with a streamer and the other with nymphs. 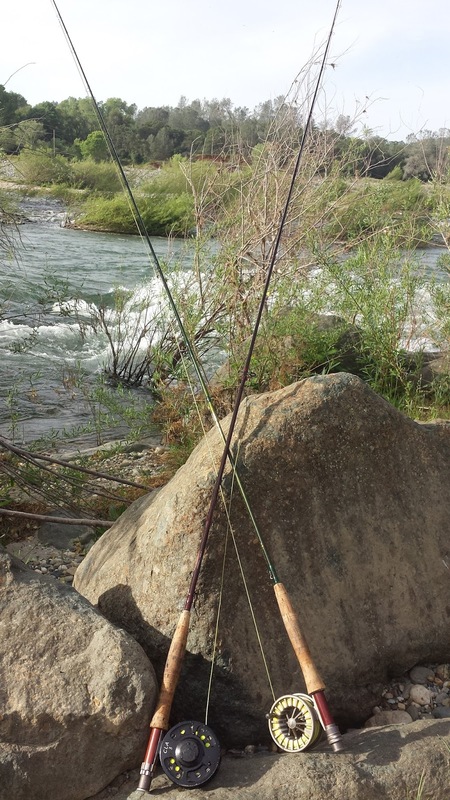 The only fish I hooked was a 18''+ bow that I was able to sight fish. There was no way I was going to land this fish with the deeper and higher flows so after a few seconds of fight I lost it. The rest of my day was fishless. I was surprised to find other anglers out trying their luck as well. The flows are too damn high! 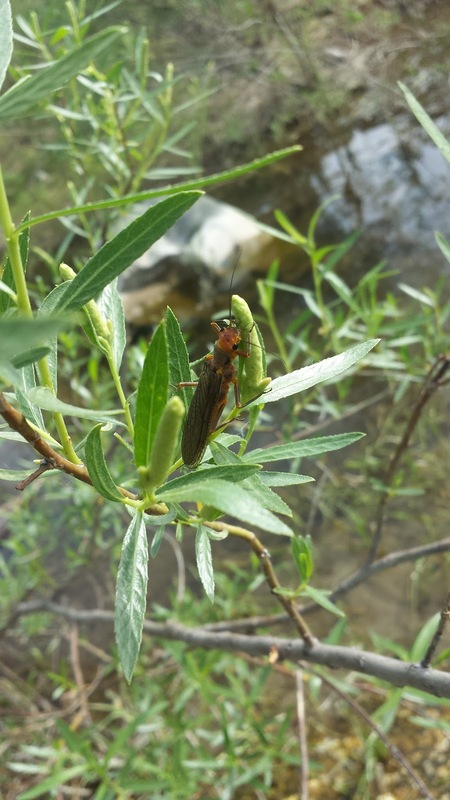 Now that the weather is warmer I might check another time in the evening to see if I can catch an evening hatch. Although exploring the Yuba during high flows was interesting, I won't be back until the flows go below 2,000 CFS. There are better places to fish right now. I've been having a panfish party on hot and windless days. Catching fish that are actually willing to eat on topwater 2WT action is super fun. 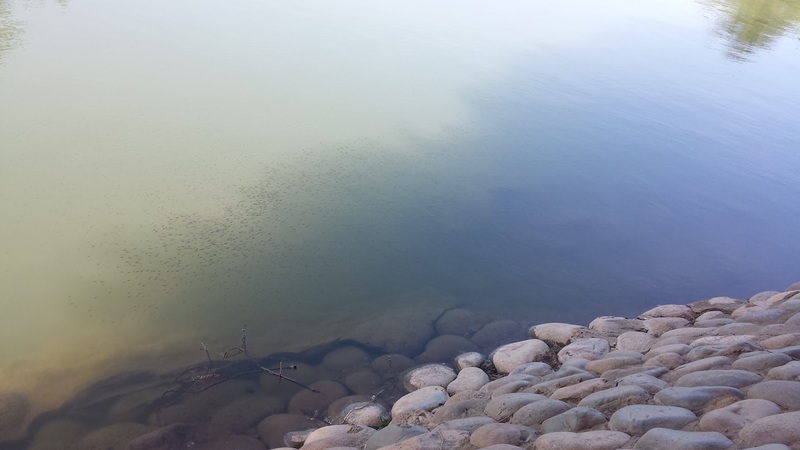 The bass fry have also hatched at Ellis Lake making it tough to target bass. From time to time I saw fish crash the surface for baby fry. Although it can be tough to compete with hundreds of easy to catch fry, I managed to hook a small bass after watching it crash the top. How To Compete With So Many Fry?